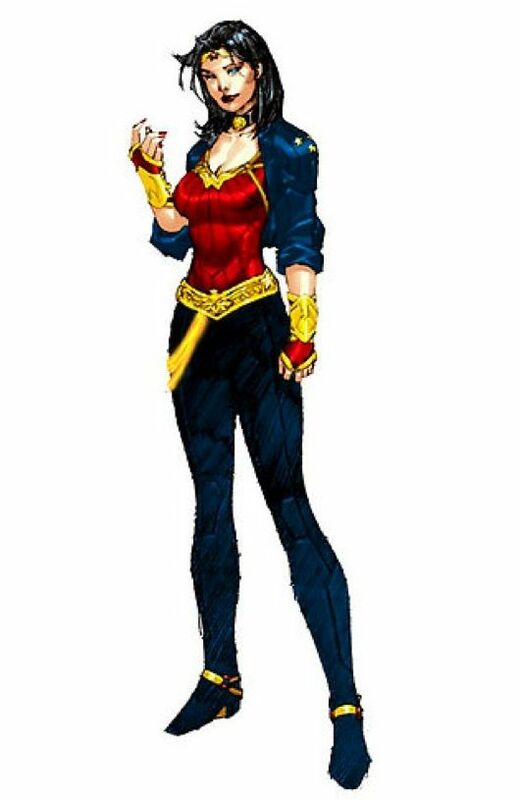 Wonder Woman gets a new look. I assume, like everyone else, that WW is being rejigged for the movie, which is good news, because she’d look pretty silly standing next to Batman and Superman wearing a swimsuit. The only problem I have with her new outfit is that her bracelets have these blades that shoot out to make her look like the guy in 300. I mean, this is a woman mighty enough to pair comfortably with Superman. She doesn’t need weapons. I keep imagining a weird variation on the old ads for Ginzu knives: buy now and we’ll throw in these arm blades. They slice, dice, and eviscerate! Order now and we’ll add a second set free! Still, it’s about time she got a costume you can imagine fighting in. The artist Jim Lee came up with the look, but J. Michael Straczynski, the writer, also had input. He famously wanted the clothing on Babylon 5 to be comfortable and have pockets, because in the future people will still want to carry stuff around. We are assured that he gave Wonder Woman a place to stash her stuff, too. This entry was posted in Comics, DC Comics, New 52, Superheroines and tagged movie, Wonder Woman on March 13, 2015 by solsdottir.